It’s 1965. Twenty-two-year-old Linda Wise despairs of escaping her overprotective parents and her hometown, where far too many know she was sexually assaulted as a teenager. Deliverance arrives in the form of marriage to the charismatic, twenty-six-year-old Ronald Brunson, a newly ordained Methodist minister who ignites her passion for social justice. Ron tells her war and racial discrimination are symptoms of the “moral rot” destroying the country, conjuring up something dark and rancid in her mind, thrilling in its wickedness. He sweeps her away from Stony River, New Jersey, to serve with him at a church in a speck-on-the-map prairie town in Minnesota. 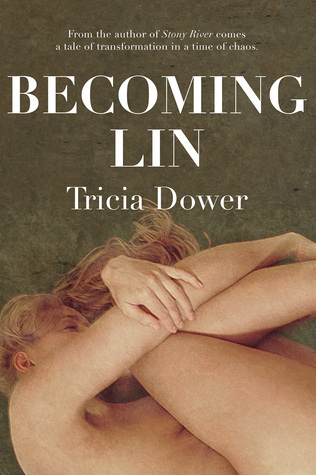 What lies ahead for her over the next seven years is the subject of Tricia Dower’s penetrating study of a marriage and a woman’s evolving sense of self as she confronts the trauma that keeps her from her future, unfettered self. Becoming Lin evokes the turbulent era of Freedom Riders for civil rights, Vietnam war resistance, the US government’s war against the resisters, sisterhood and the push for equal rights for women, new-age metaphysics, motivational psychology and the unravelling of the traditional marriage contract–an era that resonates in today’s persistent racism and sexism, perpetual war and wide-reaching government surveillance.